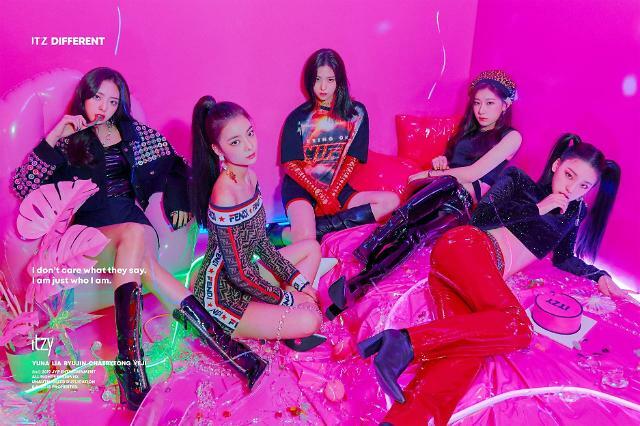 SEOUL -- ITZY, a new five-member girl band created by JYP Entertainment, released a set of teaser images with a slogan saying "I don't care what you say. I am just who I am." Two photographs showing the girls were released Thursday through Facebook and Twitter, three days after JYP released a teaser video. Other than the names of five members, JYP gave no extra information on the sister band of TWICE. 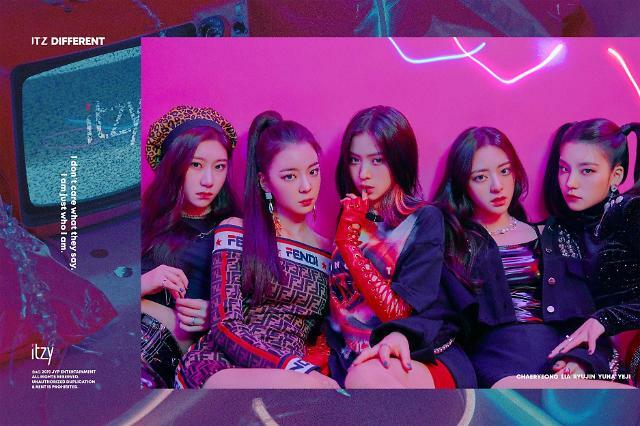 ITZY's teaser clip on YouTube has garnered more than 4.1 million views especially from K-pop fans in Southeast Asian countries.